In other exciting motor racing news, Nic Carroll (Year 12) made his debut at the Mount Panorama Circuit on 8 October. The circuit is widely regarded as the most technically challenging and unforgiving race track in the country. The Toyota 86 Series, in which Nic competed, is one of the support categories for Australia’s biggest car race, the Bathurst 1000. From Race 1 on Saturday morning, Nic’s skill in his #48 T86 was evident as he moved up the ranks to crack a spot in the top 10 for Sunday’s Race 3. The race was highly competitive and Nic drove magnificently, fighting off challenges from the likes of David Brabham and other competitors twice his age and with far more experience. After some impressive passing manoeuvres and several other on-track incidents, Nic found himself in 4th position on the final lap. Unfortunately, he experienced a gear selection problem coming out of The Chase, which cost him two spots, but he still managed to finish in 6th place. 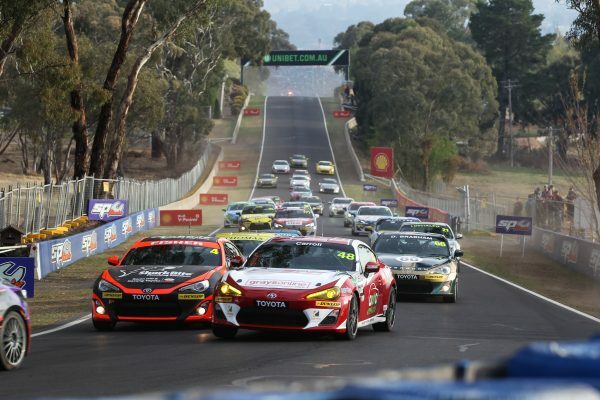 The Toyota 86 Racing Series culminates in Newcastle in late November. Nic is looking forward to another successful outing in his #48 T86, with his sights firmly set on a podium finish.